Please don't let it be him is the prayer of one senior foreign relations expert regarding the probability that a man who has links with American presidential candidate Donald Trump could be responsible for Dominica's diplomatic business at the United Nations. The chances of Italian businessman Paola Zampoli being the caretaker at the Dominican embassy in New York are remote, and if he does become the chargé d'affaires in the period between the departure of the current permanent representative Vince Henderson and the arrival of his replacement, it will be brief. But the thought of it is driving this expert dizzy. "I would hate to see Zampoli as the caretaker until the new ambassador arrives," the person told The Sun. One person with close links to the ministry of foreign affairs told The Sun last week that Henderson was being reassigned to Washington, DC, where he will replace the departing Hubert Charles as the ambassador to the United States and permanent representative to the Organization of American States. 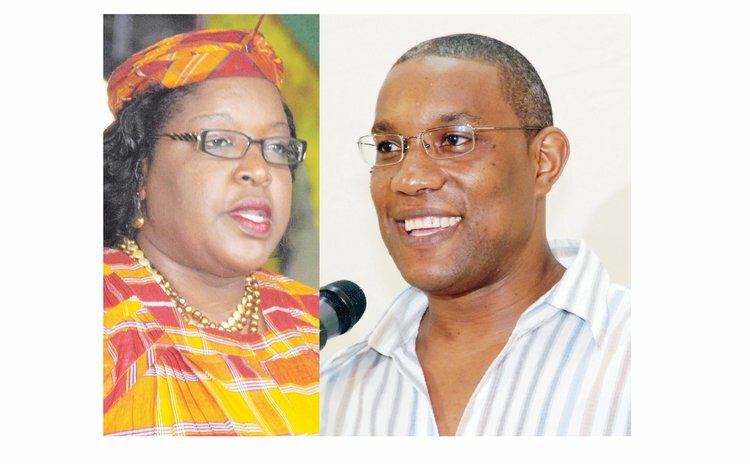 While there has been no official word from the Roosevelt Skerrit government on the transfer or on Henderson's replacement, there has been speculation at home that it is either Loraine Bannis Roberts or the ambassador to the Bolivarian Alliance for the Peoples of Our Americas (ALBA) Dr. Philbert Aaron. However, the process of securing accreditation can be a lengthy one and it is possible that Henderson can leave before the new ambassador is allowed into the UN, one person familiar with the process explained to The Sun. In this case, the person explained, there was no one left but Zampoli, who two years ago was appointed ambassador of oceans and seas by Skerrit, but who "promotes himself as the deputy permanent representative for Dominica to the UN". "He liked the title of being an official diplomat. He would go to meetings for Vince, he would sometimes vote for Vince when Vince is not around, but he used the position to promote his own interest," the foreign relations expert, who spoke to The Sun on condition of anonymity because of his position, said. "There are no other Dominican diplomats in New York, nobody to hold the fort. [This means] Paolo will be the caretaker until a new ambassador arrives. The question is, will Skerrit allow that? I think it's stupid to have a foreigner who you don't even know running your affairs at the United Nations, even in a caretaker role as charge d'affaires." To avoid this scenario, a person with intimate knowledge of the ministry of foreign affairs is suggesting that Skerrit puts the wheels in motion urgently by writing to the UN secretary general advising that Henderson was leaving and naming his replacement so the requirement appointment can be made for the new ambassador to be presented with credentials. "Paolo Zampoli really has no standing at the UN. He's just an opportunist who wanted diplomatic access to the UN, something he couldn't get with Italy. He's a businessman and what he is involved in is not compliant with being a diplomat" the person said. In other words, please don't let it be him.